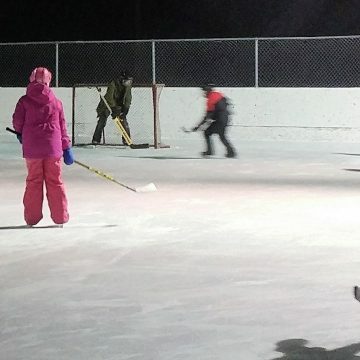 Last night we took to the ice for our skating activity at the Atto Beaver Park in Lennoxville, Quebec. 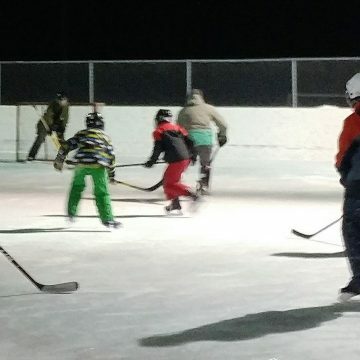 The park offers two outdoor rinks, one for hockey and another for free skating. And so, some of us chose to play a friendly hockey match, while others enjoyed skating around in the little rink nearby. 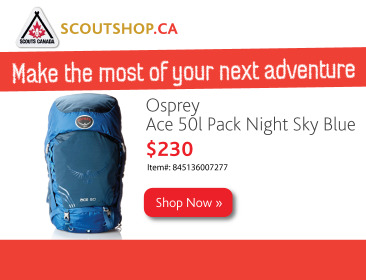 With temperatures hovering around -11 C (12 F), we were given an excellent opportunity to put our Scout motto Be Prepared into practice. Wearing helmets and being properly dressed for the icy weather were mandatory of all our members. We also reminded our Scouts to head indoors for a sip of water from time to time or if their toes got too cold. Winter activities can be great fun when one follows these simple rules. We finished the evening tailgate-style, with hot chocolate which we heated on a propane stove. What a wonderful way to embrace winter!